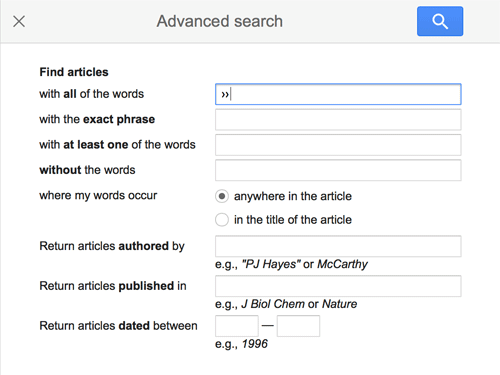 Google Scholar provides a basic search for scholarly literature across many disciplines and sources. Watch this video to learn about Using Google Scholar with CSU Library (Duration: 1m 56s) including how to add Library Links and import citations to EndNote. CSU Library subscribes to a wide range of resources accessible via Primo Search and Journal Databases. Add a library link to access full-text content from the CSU Library’s collection of online journals. Use the Advanced Search options to refine your search results.